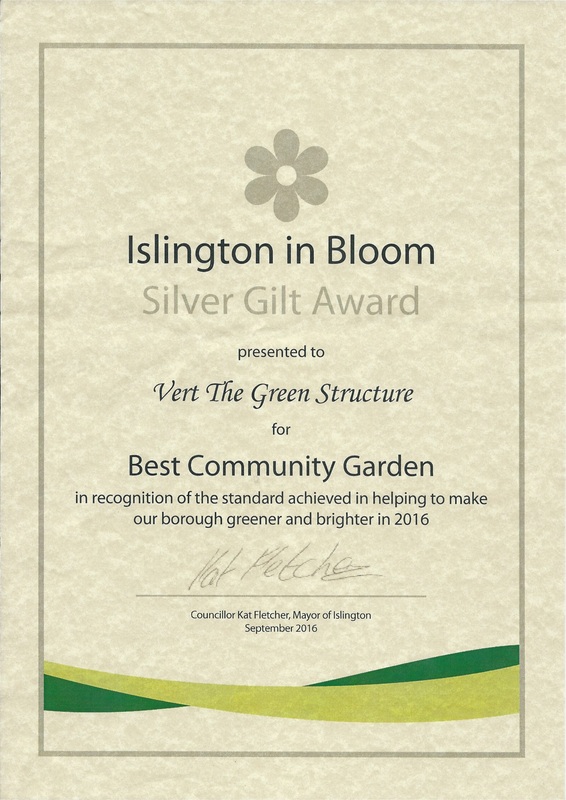 After redesigning the planting scheme this year in Vert, the wildlife friendly sculpture, we entered Islington in Bloom 2016. 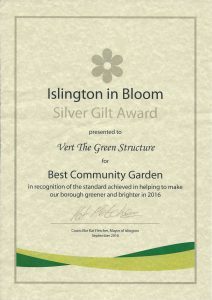 The judges from Islington Gardeners and Islington Council said this year’s entrants were of a very high standard so we were extremely happy to win a Silver Gilt award. Islington Gardeners include a wildlife group, if you’d like to know more about them just click here.